Following the defined ISO standards, we are instrumental in manufacturing, supplying and exporting a comprehensive range of Textile Bearings to our clients. 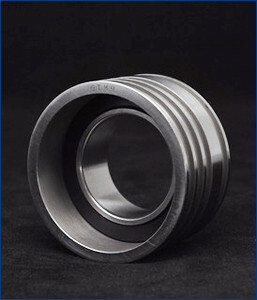 These bearings are extensively demanded in situations where frequent dismantling made compulsory for inspection. Manufactured using first-rate quality metal, these bearings are also rigorously checked on various quality parameters to ensure its effective working. According to varied need of clients, these bearings are available in various shape, finish and size at cost effective price.